New! Please take a look at our Office Policies, before your visit. On your initial visit please be prepared to share your medical history with Dr. Kaufman. This will include any medical conditions you have or may have had in the past, surgical history, any medications (prescription or over-the-counter) you are currently taking (include name, dosage and frequency), and any allergies you have to medications or foods. Please arrive at the office 1/2 hour before your scheduled appointment to complete necessary forms using the Phreesia registration system. 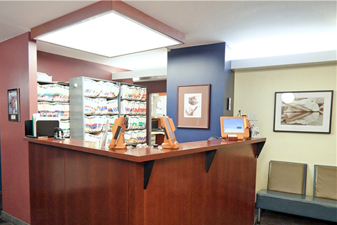 Central Park Urology accepts most insurance and HMOs, including Medicare, as well as Visa, MasterCard and American Express. The Notice of Health Information Practices describes how information about you may be used and disclosed and how you can get access to this information. Please review it carefully. You will be asked to sign a consent form. Please arrive at your first office visit 30 minutes prior to the appointment time so that the Phreesia information system can be completed with your insurance information and medical history. Make sure to bring your insurance cards, ID card, and major credit card with you to your first visit. Appointments not cancelled within 24 hours are subject to a $75.00 cancellation fee. Please bring any relevant laboratory results with you to your visit.